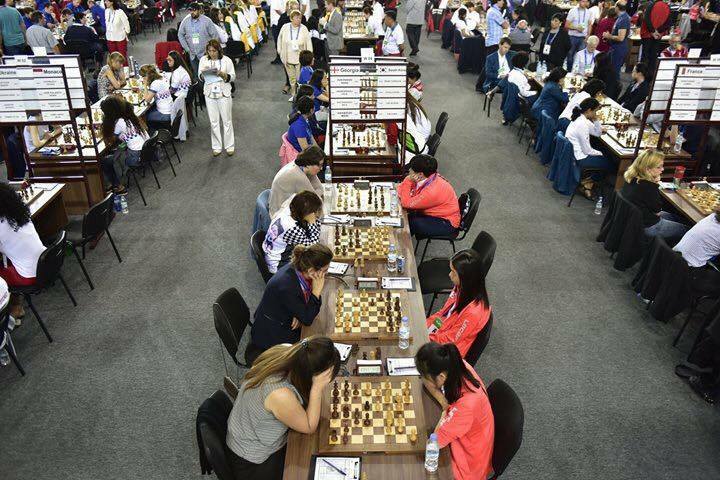 The 43rd chess Olympiad continues in Batumi Sports Palace. On September 25, the parties of the second round were drawn and it happened so that the women's and men's team played against the Norwegians. Georgian National teams played without the team leaders (Nana Dzagnidze, Baadur Jobava), allowing them to relax for the main battles ahead. Moreover, Lela Javakhishvili took the first place of the women's team, who was defeated in her first match yesterday, but played with more motivation today. As a result, Javakhishvili, as well as other Georgian chess players won their corresponding matches and thus, Georgian team recorded a convincing victory - 4: 0. Mikheil Mchedlishvili moved to the first board, while his place on the second board was taken by Bulgarian Ivan Cheparinov, who was resting during the initial round. Unfortunately, Mchedlishvili lost his match, but Cheparinov equaled the score with his decisive victory. As per the other Georgian teams, the most interesting was the men’s team’s match against the US, who are the major favorites of the championship. The first board of the US team is currently occupied by the world’s second ranking player – Fabiano Caruano, who will be fighting for the world championship versus Magnus Carlsesten in London from November 9, 2018. The members of the third team of Georgian national team gave up their matches, but as a result have gained a valuable experience, competing against such strong opponents. On the first board, Noeh Tutisan, played a game against Fabian Caruano, who is a strong contender on becoming the World champion in November. A symbolic move was made by Nona Gaprindashvili during the match. The second national team of men were victories against Denmark 2.5: 1.5. Women’s second team also won vs Sweden 3.5: 0.5. It is also noteworthy that the third team played tie with the German team – 2:2.